Urged by Professor John Ruggie and his authoritative recommendations, in October 2017 FIFA decided to include human rights within the criteria for evaluating bids to host the 2026 World Cup, following similar steps taken earlier this year by the International Olympic Committee (IOC) and UEFA in the context of the Olympic Winter Games 2026 and the Euro 2024 respectively. This two-part blog critically examines the role human rights play in the new bidding regulations adopted by the IOC, UEFA, and FIFA. 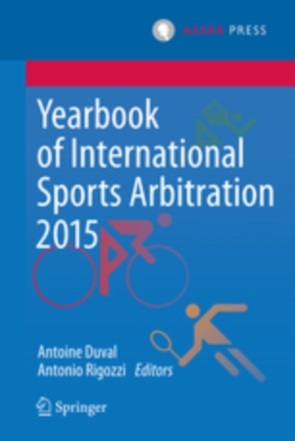 The first part sheds light on the IOC and UEFA. The second part then takes a closer look at FIFA and aims to use a comparative analysis to determine whether the new bidding regulations are robust enough to ensure that selected candidates abide by international human rights standards. Compared to the past, cities bidding to host the 2026 Games could expect lower costs, simplified procedures, and more assistance provided by the IOC. All interested cities might enter a Dialogue Stage and engage with the IOC to learn more about the benefits and responsibilities associated with the hosting and staging of the Games. Although the Dialogue Stage is non-committal, cities that join are supposed to present their consolidated Games concepts, outlining their vision, long-term plan alignment, or initial financial strategy, as well as providing information with regard to a potential referendum. These consolidated concepts, together with the IOC's own research, will serve as a basis for a preliminary report exploring the capacity of interested cities to deliver successful Games. The IOC Executive Board will review this report and recommend to the IOC Session which cities should be invited to the Candidature Stage. The IOC Session will designate Candidate Cities in October 2018 during its meeting in Buenos Aires. Candidate Cities will then have until 11 January 2019 to prepare and submit their Candidature Files together with an initial set of core guarantees. In their Candidature Files, Candidate Cities shall provide answers to a variety of questions as set out in the Candidature Questionnaire, covering areas such as sustainability and legacy, transport, accommodation, safety and security, finance, or marketing. Thereafter, Candidate Cities will be visited by the IOC Evaluation Commission that is tasked with conducting an in-depth assessment of each bid and producing a report to help the IOC Session elect the most suitable candidate. The Host City of the 2026 Games will be elected in September 2019. Little attention is paid to human rights in the Candidature Questionnaire. Candidate Cities are only required to provide a guarantee whereby the national government and relevant local authorities undertake to respect and protect human rights and ensure that any violation of human rights is remedied ''in a manner consistent with international agreements, laws and regulations applicable in the Host Country and in a manner consistent with all internationally-recognised human rights standards and principles, including the United Nations Guiding Principles on Business and Human Rights, applicable in the Host Country''. This language is somewhat ambiguous because when defining human rights that should be respected and protected in connection with the hosting and staging of the Games, the guarantee first refers to human rights applicable in the Host Country and only then to the United Nations Guiding Principles on Business and Human Rights (UN Guiding Principles). The latter make clear that the responsibility of business enterprises to respect human rights extends to specific international treaties and other instruments. However, some of these treaties could be inapplicable in the Host Country if not ratified. This would make the guarantee to some extent self-contradictory. Apart from the guarantee, the IOC does not ask for any other human rights-related information from Candidate Cities. In the absence of such information, it is difficult to see how the Evaluation Commission will assess the Candidate Cities' capacity to respect and protect human rights. While the Euro 2020 will be a bit of an experiment with games scheduled to take place in 12 different cities across the continent, the Euro 2024 returns to its classic format as only one member association will host the tournament. In March 2017, UEFA confirmed that it would be either Germany or Turkey. The next step for both member associations is to submit their Bid Dossiers to UEFA by no later than 27 April 2018. In principle, the bidders must demonstrate in their Bid Dossiers that they meet all Tournament Requirements. Importantly, UEFA reserves the right to appoint independent consultants when evaluating bids. A written evaluation report on each bid will be circulated in September 2018 before the UEFA Executive Committee finally decides which member association will host the Euro 2024. UEFA requires that the bidders and then the Host Association respect, protect, and fulfil human rights and fundamental freedoms, including the rights of workers and children, in line with international treaties and other instruments such as the Universal Declaration of Human Rights, the ILO Declaration on Fundamental Principles and Rights at Work, the Convention on the Elimination of All Forms of Discrimination against Women, or the Convention on the Rights of the Child. In order to meet this obligation, the bidders should in particular seek to culturally embed human rights, proactively address human rights risks, engage with relevant stakeholders, and implement means of reporting and accountability. The bidders' capacity to respect, protect, and fulfil human rights will be evaluated based on their human rights strategy that must be included in their Bid Dossiers. As part of this strategy, the member associations bidding to host the Euro 2024 should explain how they are going to integrate the UN Guiding Principles in their activities related to the organisation of the tournament. While no further details are given about the required content of this strategy, UEFA suggests that a successful bid should not fail to: (i) outline proposed measures aimed at preventing human rights abuses, in particular child labour in supply chains and violations of workers' rights; (ii) provide evidence of meaningful consultation with vulnerable groups; or (iii) describe grievance mechanisms that will be available for victims of human rights abuses. Unlike UEFA, the IOC has attracted widespread criticism for being involved with negative human rights impacts. Nevertheless, it is the former who gives more weight to human rights in its new bidding regulations. This is even more surprising given that the IOC introduced its bidding regulations later than UEFA. It seems that the IOC deliberately avoids including human rights within the criteria for evaluating bids to host the Olympic Games, hoping that this would encourage more cities to participate in the host selection process. 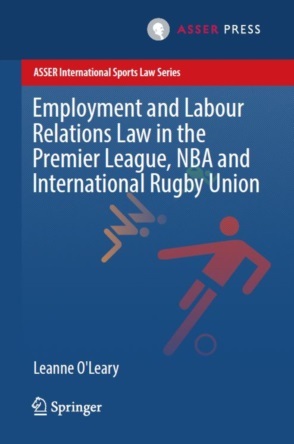 Further reflections on human rights as selection criteria in bidding regulations for mega-sporting events will be presented in the second part of this blog that will focus on FIFA and provide some comparative perspectives. Amnesty International, The Ugly Side of the Beautiful Game: Exploitation of Migrant Workers on a Qatar 2022 World Cup Site, 30 March 2016. See also Human Rights Watch, Qatar: Take Urgent Action to Protect Construction Workers, 27 September 2017. John G. Ruggie, For the Game. For the World. FIFA and Human Rights, p. 32. IOC, IOC Approves New Candidature Process for Olympic Winter Games 2026, 11 July 2017. To the best of my knowledge, Calgary (Canada), Salt Lake City (United States), Sapporo (Japan), Sion (Switzerland), and Telemark (Norway) consider bidding. The Dialogue Stage runs from September 2017 to October 2018. Interested cities can join until 31 March 2018. See IOC, Candidature Process for the Olympic Winter Games 2026, pp. 11-17. On 15 October 2017, a referendum was held in the Austrian province of Tirol. A negative outcome prevented the city of Innsbruck from launching a bid to host the 2026 Games. This report is to be drawn up by the Olympic Winter Games 2026 Working Group overseen by an IOC member and consisting of individuals representing the International Paralympic Committee, the IOC's Athletes Commission, International Winter Sports Federations, and National Olympic Committees. See Candidature Process for the Olympic Winter Games 2026, p. 16. The capital of Argentina will host the 2018 Youth Olympic Games. IOC, Candidature Process for the Olympic Winter Games 2026, p. 18. IOC, Candidature Questionnaire for the Olympic Winter Games 2026, pp. 86, 88. These include, at a minimum, the International Covenant on Civil and Political Rights, the International Covenant on Economic, Social and Cultural Rights, and the principles concerning fundamental rights in the eight ILO core conventions as set out in the Declaration on Fundamental Principles and Rights at Work. See UN Guiding Principles, Principle 12. The Evaluation Commission may be assisted by experts. See IOC, Olympic Charter, Bye-Law to Rule 33. UEFA, Bid Regulations for the UEFA Euro 2024, Article 5.05. Ibid. Articles 6.02 and 6.04. UEFA, Tournament Requirements for the UEFA Euro 2024, Sector 03 – Political, Social and Environmental Aspects, p. 5. UEFA, Bid Dossier Template for the UEFA Euro 2024, Sector 03 – Political, Social and Environmental Aspects, p. 5. UEFA, Tournament Requirements for the UEFA Euro 2024, Sector 03 – Political, Social and Environmental Aspects, p. 6. Jonathan Watts, Rio Olympics linked to widespread human rights violations, report reveals, 8 December 2015. See also Human Rights Watch, Race to the Bottom: Exploitation of Migrant Workers Ahead of Russia's 2014 Winter Olympic Games in Sochi, 6 February 2013. See also Human Rights Watch, 'One Year of My Blood': Exploitation of Migrant Construction Workers in Beijing, 11 March 2008.